From Taste Addison, Kaboom Town! and Addison Oktoberfest, big and awesome are only a few words I’ve heard to describe the events that they host throughout the year. 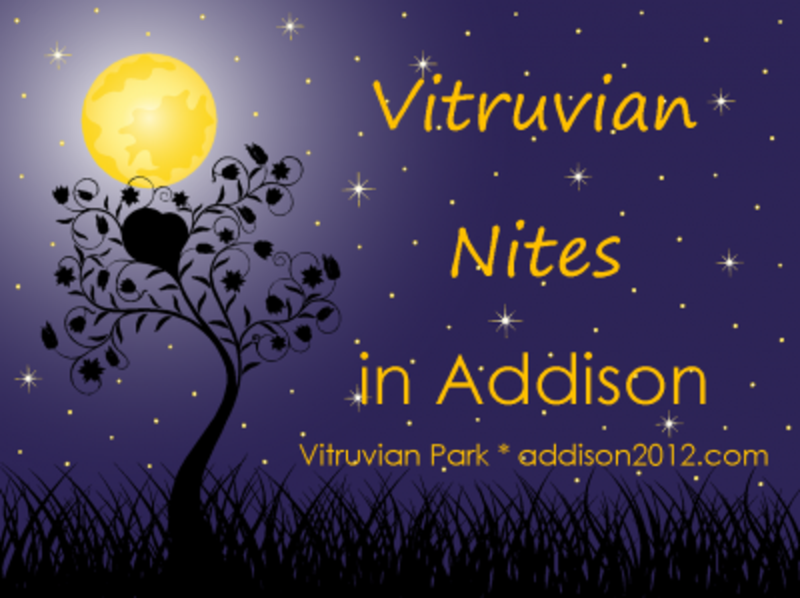 So when they recently launched Vitruvian Nites, a new set of family-focused events, I was intrigued. 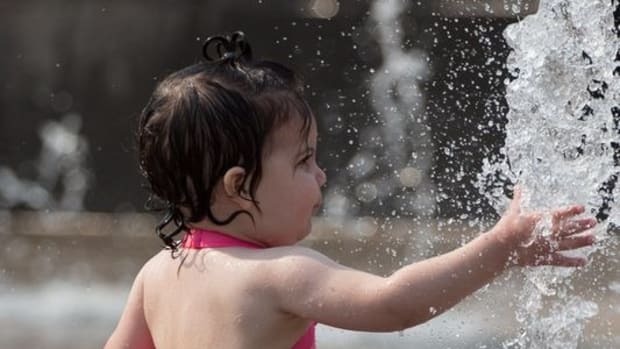 Starting back in June, the Town of Addison has been hosting small-scale activities with community feel at their newest event attraction, Vitruvian Park. 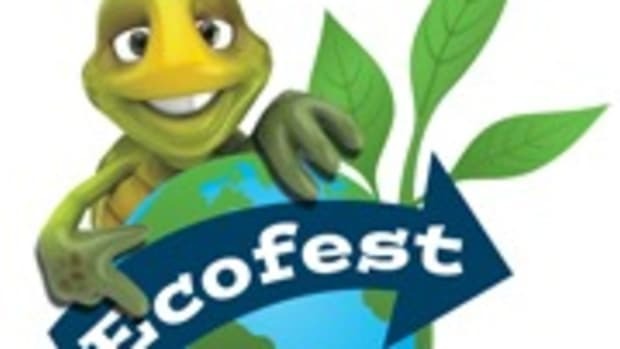 A perfect complement to family summer fun, they’ve got a little bit of everything for everyone including: game night, food trucks night, scary-story telling night and even free music night. Best of all they’re all free! Addison is THE metroplex leader in great food, so come out for Bite Nites at Vitruvian to sample some of the area’s best “rolling” gourmet cuisine! Foodies will find a long line of top-notch food trucks on Ponte Bridge. Come hungry. Every Thursday Night, 6 p.m. – 9 p.m.
Get your game on! We’ll provide free snacks and your favorite board, card and lawn games to choose from (or bring your favorite!). Meet us under the big oak tree at the Overlook near Ponte Bridge—bring a picnic supper if you’d like. First Fridays: August 3, 7 p.m. to 8:30 p.m. Chilling tales and ghost stories will leave you shivering in your boots, scooting closer to loved ones, and reaching for the s’mores. Be treated to REAL scary storytelling by master storytellers as you dine under the stars. Several food trucks will be on hand to dish out comfort food and delicious desserts that will soothe even the faintest of hearts. Third Fridays: July 20 & August 17, 8 p.m. to 10 p.m.
Get swept away by the cool sounds of hot music under the stars for Vitruvian’s Rhythm Nites. Local musicians will perform live and acts will range from Latin acoustic guitar, Cuban, Cool Jazz, Kickin’ Country and more. Bring a picnic, lawn chairs or blankets, and kickback to enjoy this cool Vitruvian Nites event! Second and Fourth Wednesdays: July 11, July 25, August 8 & August 22, 8 p.m. to 10 p.m. These events FREE to attend. 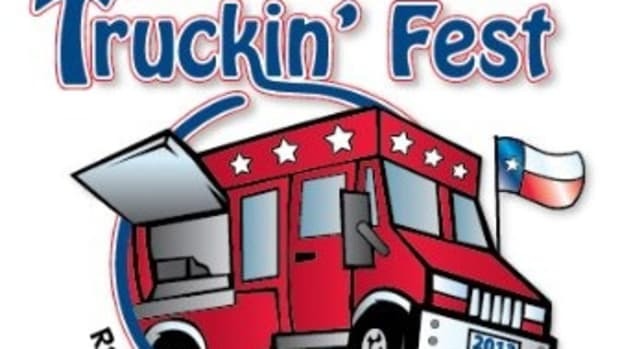 Bring cash for food truck event. Disclaimer: I work in partnership with the Town of Addison through Shiroma Southwest PR. However, the views expressed here are all my own. 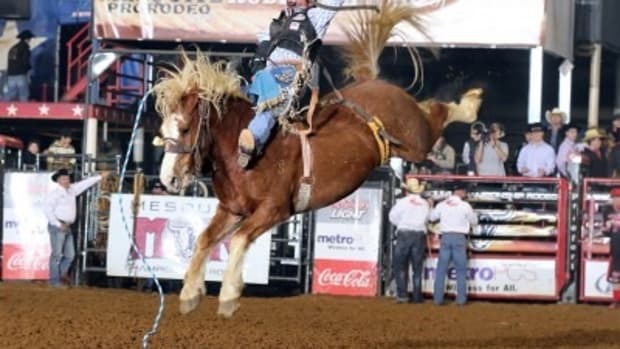 Round up your herd for the Mesquite Texas Rodeo!